Lee has been a board member of Sulzer since 2011 and the chair of the Audit Committee since 2016. She will replace Thomas Dittrich, who is moving to biotechnology company Shire plc. Dittrich will remain with Sulzer until March 2018 . Lee will continue as a Sulzer board member until the 4 April 2018 General Assembly but will not stand for re-election. Lee is currently group senior vice president and head of next level program management at ABB Ltd. From 2012 to 2014, she was senior vice president and CFO for ABB China and North Asia Region. Before ABB, Lee served as senior vice president, Finance Strategy and Investments for Neptune Orient Lines in Singapore (2010–2011). 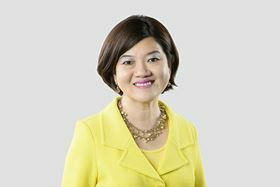 She has also held a number of positions with Siemens, including group chief diversity officer (2008–2010), CFO and senior executive vice president of Siemens in China (2004–2008), CFO and senior vice president of Siemens in Singapore (2000–2004) and CFO Asia Pacific and general manager of the Asia Regional Headquarters of Siemens Electromechanical Components in Singapore (1997–2000). She holds a Bachelor of Business Administration from National University of Singapore and an MBA from Nanyang Business School.